All of us have dreams, some come true and some do not, some are huge while some are small. These are aspirations; some are short lived and could change with time whereas some stay in our hearts until fulfilled. One such dream was to start Teach with KTM Drive. After a long wait, the dream is happening and the pilot project after 100 events at The KTM Drive is rolling strong. 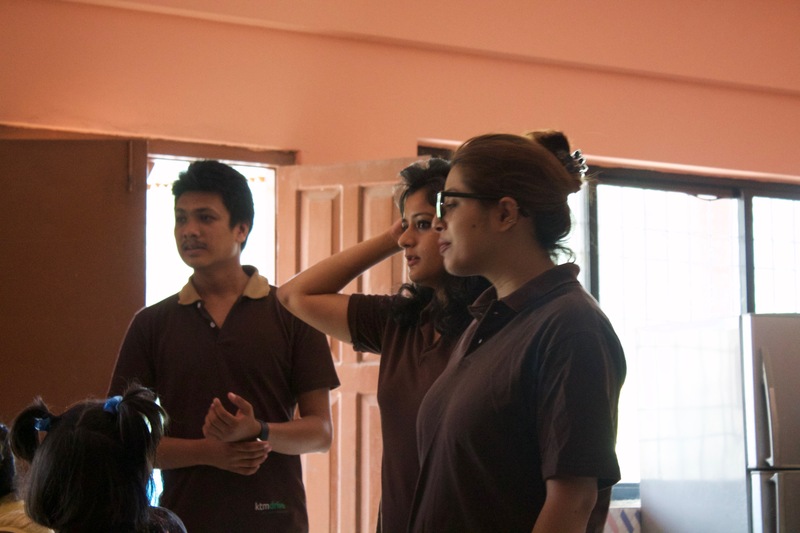 The idea of starting something similar to Teach with KTM Drive was in my mind since a decade. I wanted to start teaching the underprivileged since then. 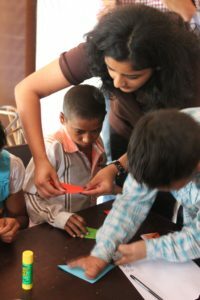 When I was volunteering with a close friend at TEACH INDIA, in Pune, we would go every Sunday and spend an hour with the slum kids. These kids would go to school but that one-hour on the weekend, was their time with us for activities and helping them with their homework. Many people from different stages of life were a part of volunteering. It was nice to see people wanting to be a part of giving and this was the best platform. An hour a week was perfect for someone who wanted to take time out from his or her busy schedule and be around the kids. 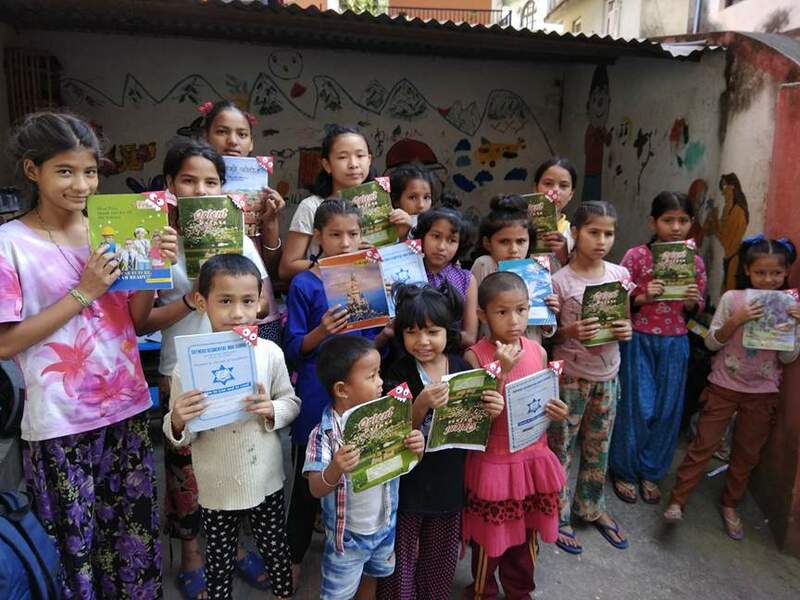 Since we had been conducting many events at Chahari, a social organization in Baneshwore, we thought it would be the best place to start this project. There are 15 girls, aged 4 to 12 who stay here. We spread the word and revolved the concept through our social media. 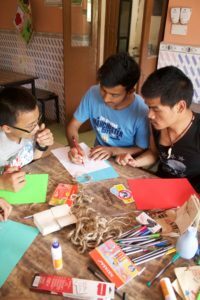 We started with the same idea, wherein any professional/ student/ homemaker/ elderly could spend an hour in a week with the kids. They had to choose what they would be teaching them and the day that they were free for an hour. We were looking for a level of commitment so the 4 hours in a month that they give; the kids learn something substantial from them. 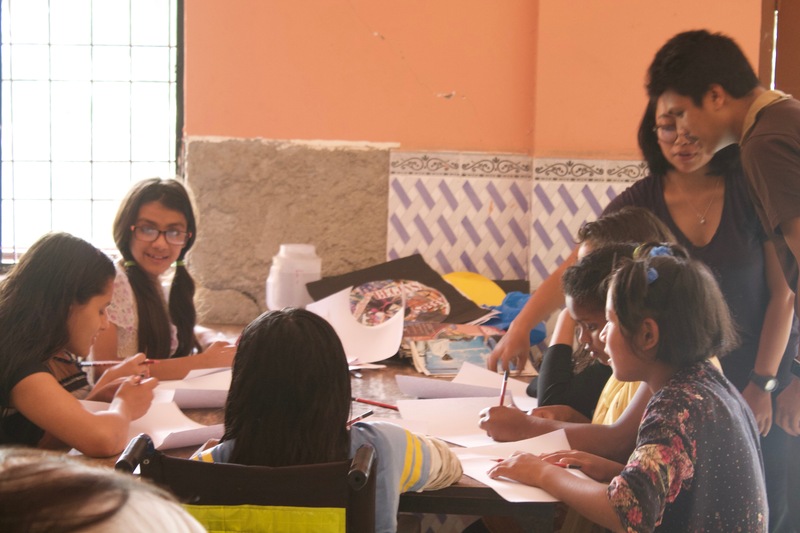 They help the kids with their schoolwork and teach subjects which school does not cover. 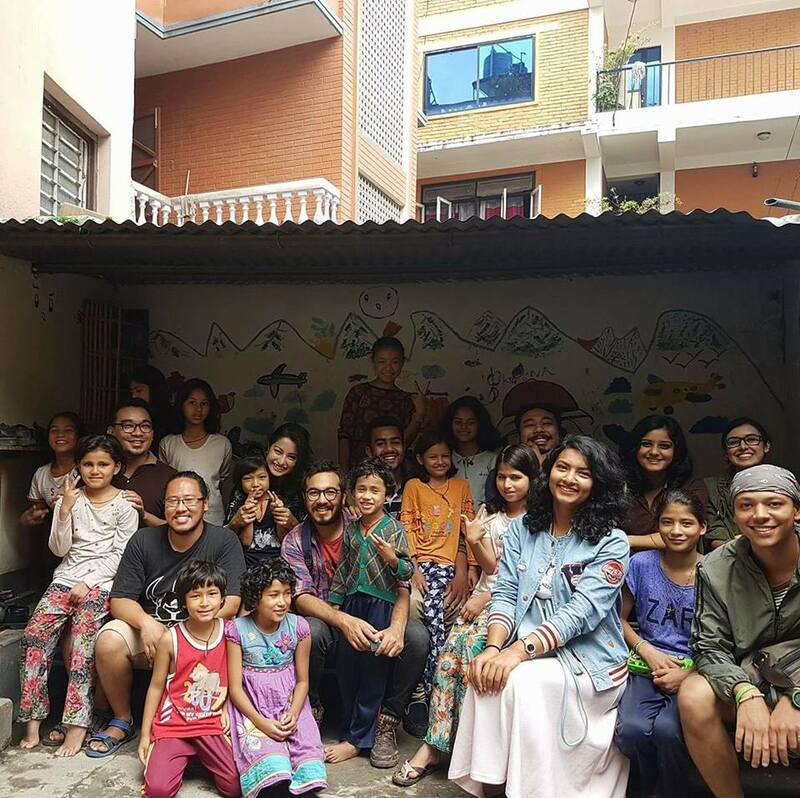 We have our members who visit the kids and help them to develop their personality, make them visualize through storytelling, teach them regular discipline for their everyday life. Each of them specializes in one topic or the other and an hour for them goes quickly. The kids keep waiting at the gate and looking through the fences until we are outside the lane after their classes. The kids love seeing us and wait for us to come while many members wait for their day to meet, teach the kids. 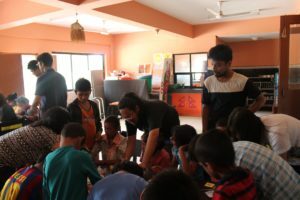 This has surely created a space and different level of connect that our members have with the kids and they have themselves learnt a lot from these innocent children. I feel it is the purest form of giving. Each one of us want to give, each one of us want to share, and there is never a right time. Each one of us are so busy in our everyday schedules, to take an hour out, is so prime. An hour in a week is nothing as compared to their love and innocent face. Another event at THE KTM Drive was conducted amazingly and all of this happened with the team of Saedi Works. 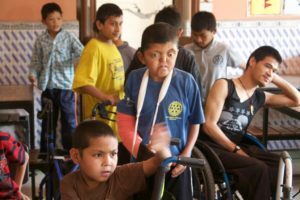 Our 75th event was at Disable Newlife Centre situated at Gokarna. The kids were familiar with us as we had been visiting them time and again. 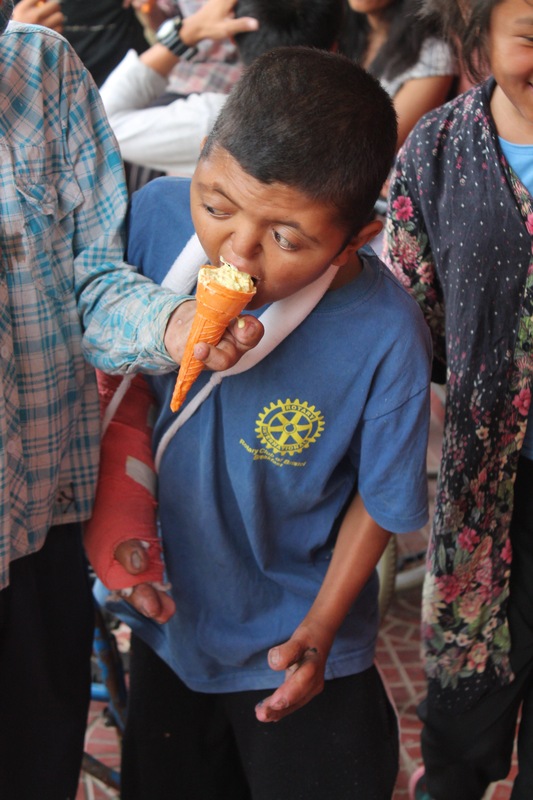 They remembered us as the group who fulfilled their wishes, the ones who planted saplings around the premises, the members who spent Dashain playing kite and housie lotto with them. They had no idea that we were visiting them on Saturday and the activities that were in store for them for the entire afternoon. We greeted them and divided them in groups as per their classes. As four sections got formed, the kids were still astonished, surprised and kept guessing on what was going to happen. 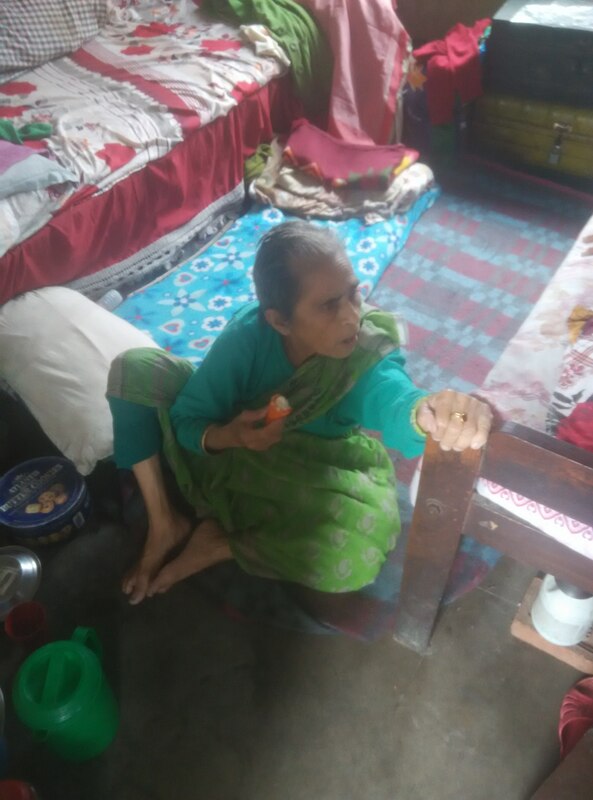 We realized that the number of children at DNC had reduced, as ten of them were shifted to another hostel and some were missing as they were taking a shower. We started the session with eight kids in each table, and one of the team members of Saedi works led the project. There were different tasks that had to be completed by each kid. The first lot made origami bookmarks, while the other set made small paper bags with drawings in the front and back, the next group made beautiful collages with waste paper. 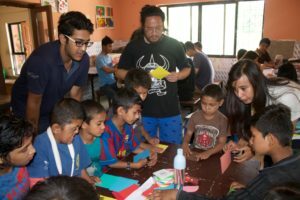 Some children had to be directed on the next step and the KTM Drive members who were divided in the group made the best of their time while helping them with the sessions. 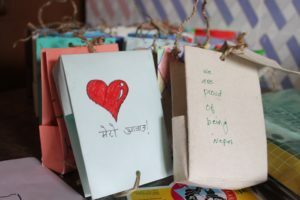 The naughtiest kids used their imagination and some finished the making of bookmarks before the leaders too. All of their craft work was impressive and neat, some were artists. It was really nice to see that they were looking out for one another and helped their partners to complete the work. 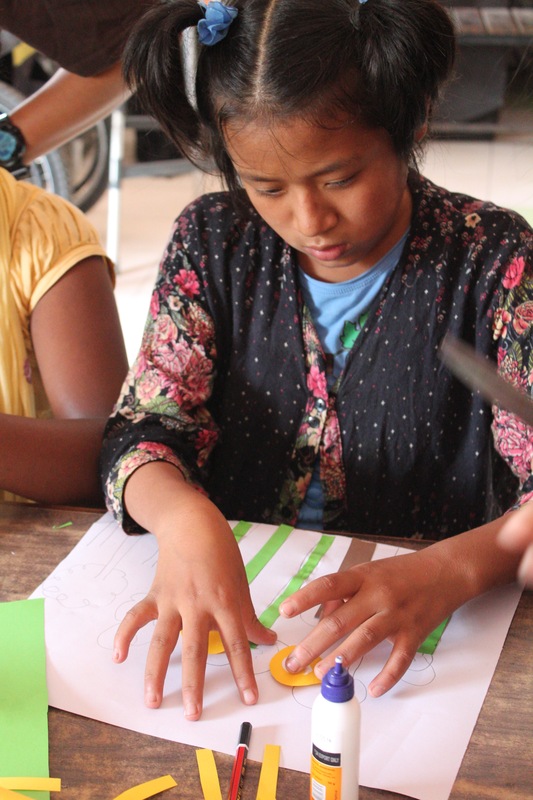 As the children finished their assignments, they made themselves comfortable on the next table to learn more of art and craft. It was a chaos in the dining area and everyone was enjoying and making the most of it. 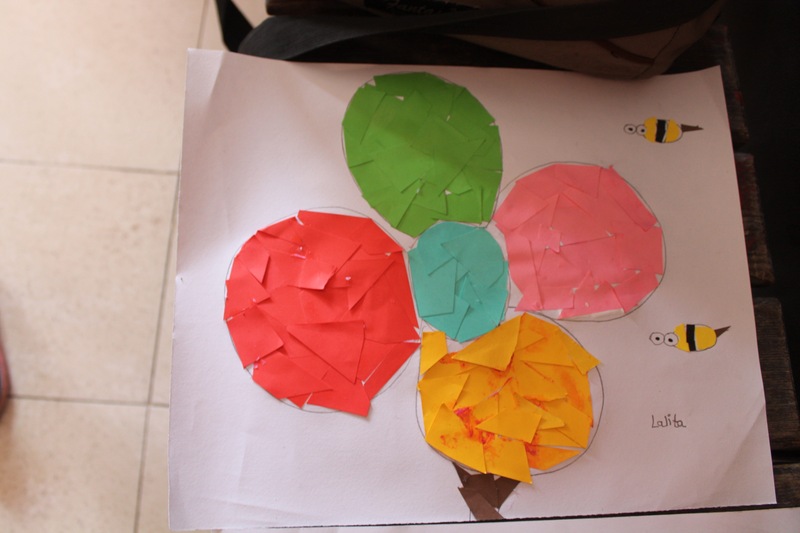 Lastly, when the tasks got over, each student got a round shaped yellow chart paper and they had to draw an expression that best suited the moment that they were in, including the members. 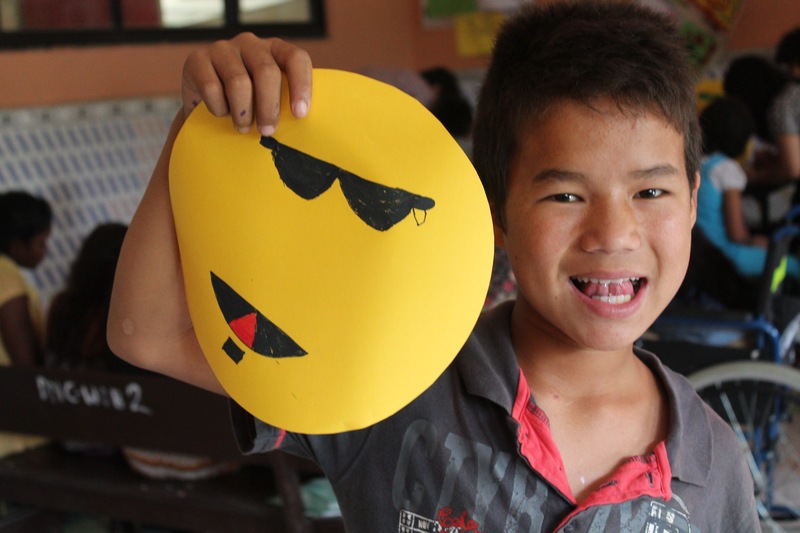 It was entertaining how these little kids came up with funny emoticons. We then treated them with some pears and ice cream and called the day off. 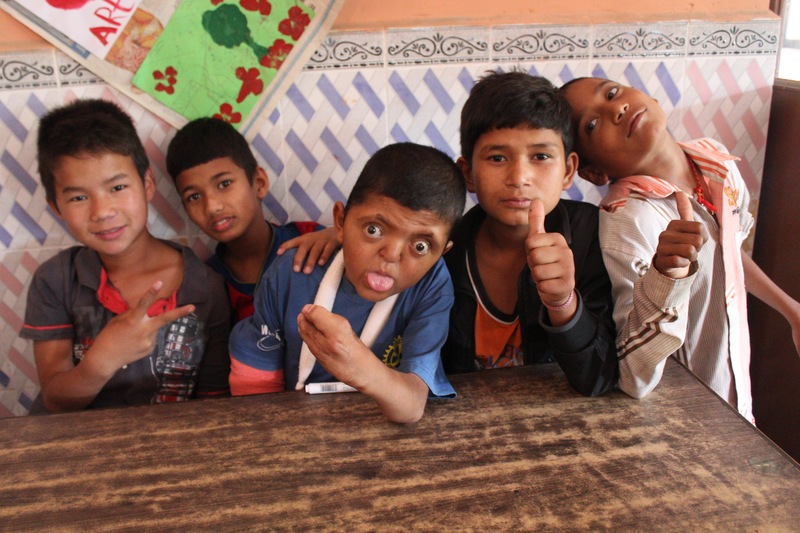 Since I have been visiting this differently able centre, since a kid, I have been familiar with each one of them. What surprises me the most is, the level of liveliness, enthusiasm that they have towards life. It is worth a salutation. Kumar, was the hero for the day as he helped us wrap the event by collecting all the stationeries and keeping them in place.As we were leaving, the kids asked us to come back again and sooner. The didi’s at the centre requested if we could arrange toiletries for the kids. 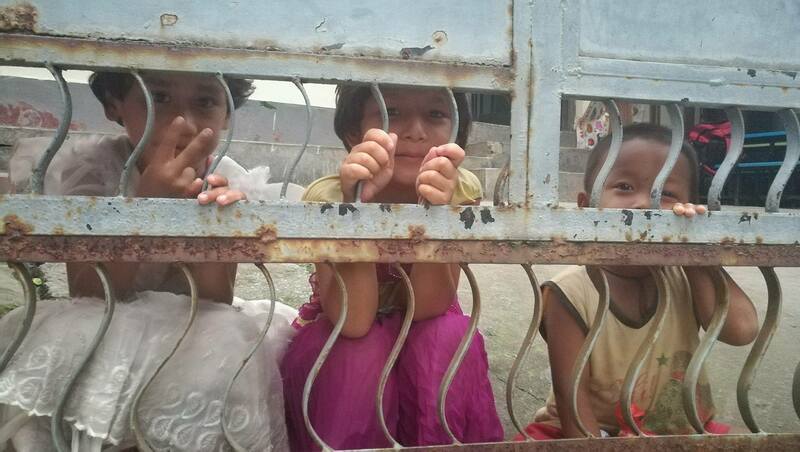 They are in need of bathing soaps and shampoo; and we promised them to get the healthy kits the next time. Each one of us had an amazing time as the event was organized and managed really well by the energetic members of Saedi works. We thank them once again for coming over and conducting the event for these innocent souls who are full of energy, love, laughter and noise. 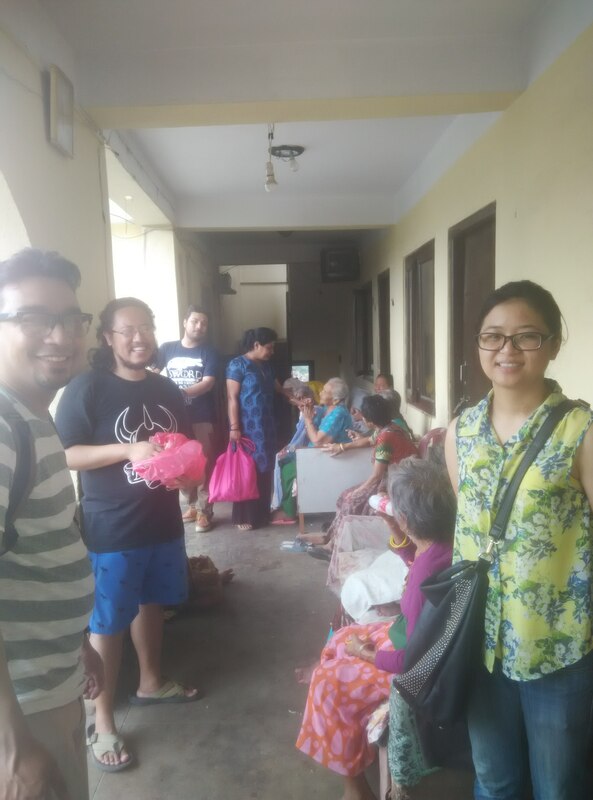 Our surprise visit to Disabled Newlife Center on July 9th with Saedi Works marked the 75th event of KTM Drive. It was our 5th/6th visit to DNC and the afternoon was an exciting and exuberant day, working with the 30 kids making DIY products. The kids weren’t expecting anything for the afternoon when we presented ourselves with bundles of colourful chart papers, magazines, colours, stickers and glue. 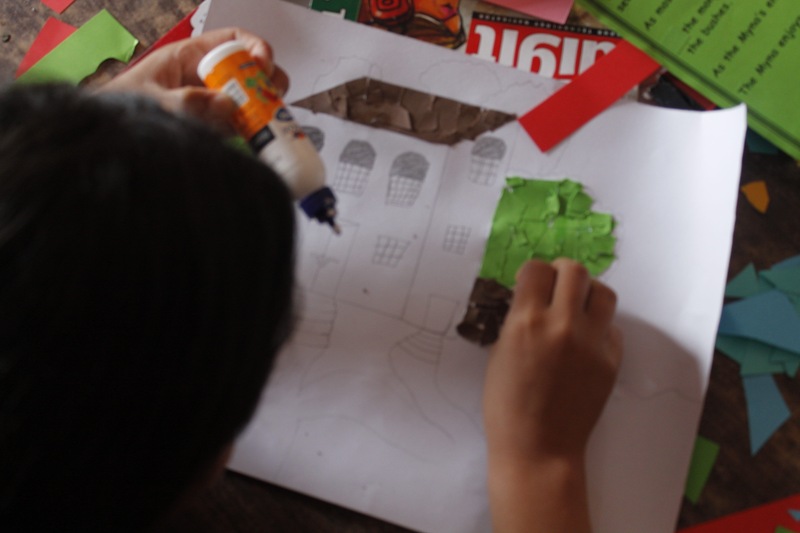 The kids were excited to start working with the paper craft events planned for the day that they wanted to have ice-cream that we had brought for them only after we’d finished with the plans for the day. We got started by dividing the children into groups and explained the activities for the day. 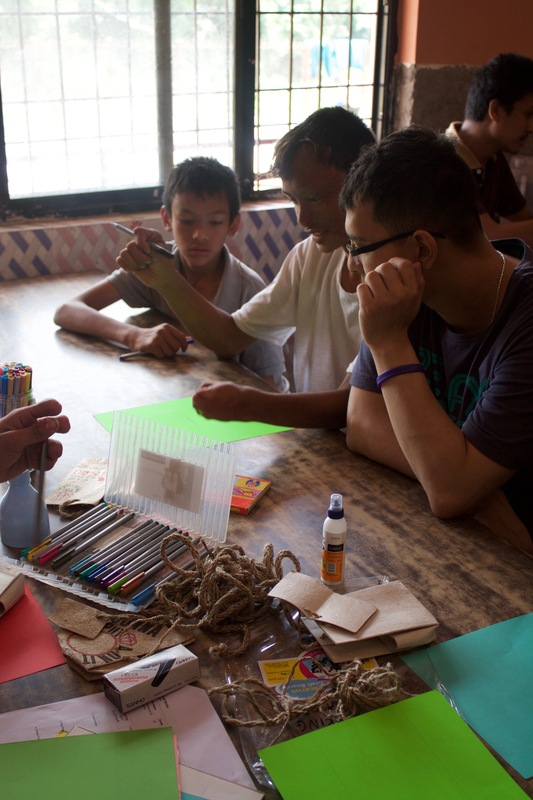 The children were more than happy to get started with making bookmarks, collage frames, paper bags and emoticon faces. 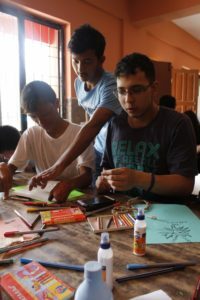 It was a happy environment with everyone bringing out their artistic side with the organisers and children enthralled on trying to create something exquisite out of the available resources. It was nothing but some old magazines and stationary items that we took to the place but we came out with works of art; something full of meaning with their expression of words and a reflection of a merry world in their drawings. It was a cheerful moment those few hours at DNC when the children share smiles through out the afternoon and it felt like we were playing in the tables. The children were all frank, disciplined and we felt welcomed to share the jolly moments with them. 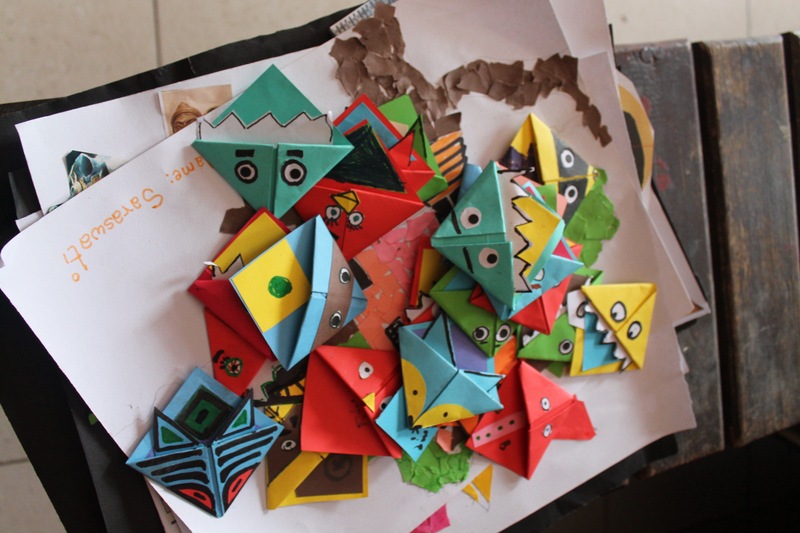 The purpose of the paper craft program that day was no other than to have fun and we had it in tonnes. The four tables in the common room in which we worked on were full of colourful bits of paper. We came out some very decent collage frame, creative bookmarks and paper bags. Finally, everyone made big emoticon faces and clicked many pictures to remember the moment. 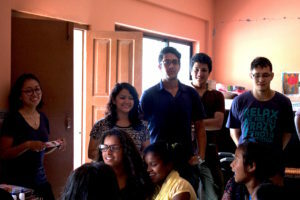 We were all overwhelmed in the enthusiastic moment as we all had a refreshing afternoon. The feeling after each event at KTM Drive is so different; one has to attend these events to get to know what I am talking about. Each member of the event feels content and there is an inner satisfaction which is beyond description. We do miss our regular members on each event, especially, who are not able to attend and have settled outside Nepal, but I am sure they miss the events even more. 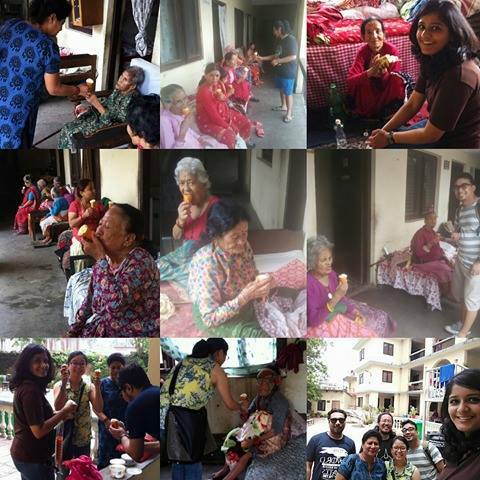 Last Saturday was our 75th event wherein we went to the old age home at Tinkune named Ni Sahaya Seva Sadan. 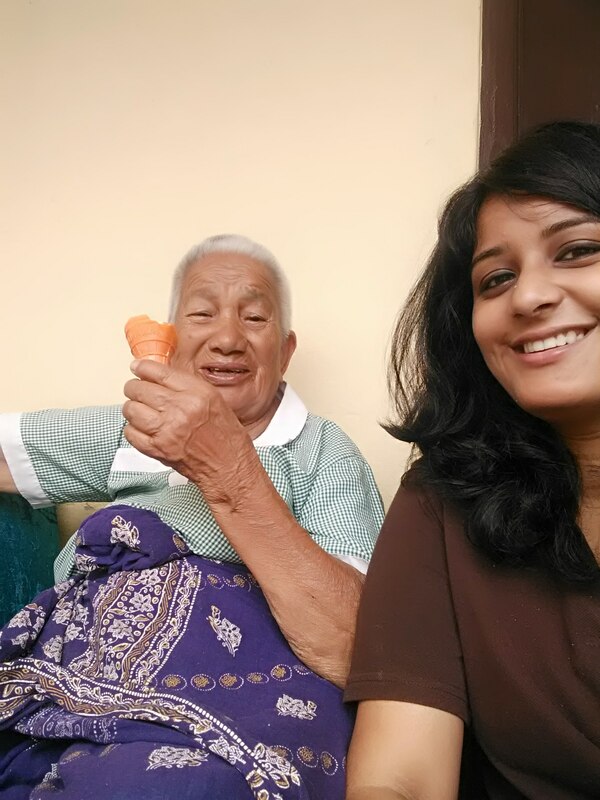 We have been doing several events there like giving out bed sheets, winter socks, caps, gloves to the elderly but the best ones have always been Ice cream treat. 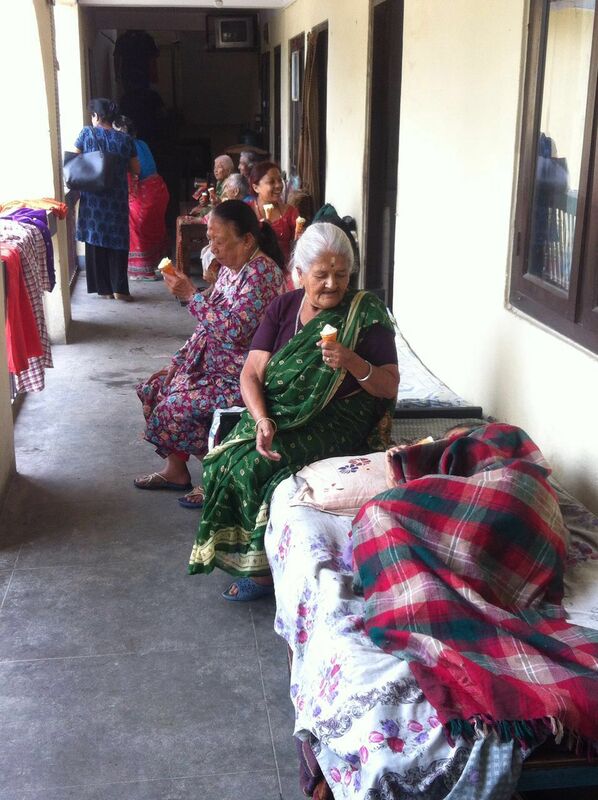 We always wait for summers for this event as the elderly enjoy it the most. All of them have fun eating the ice cream and finishing the last bite on their cone. 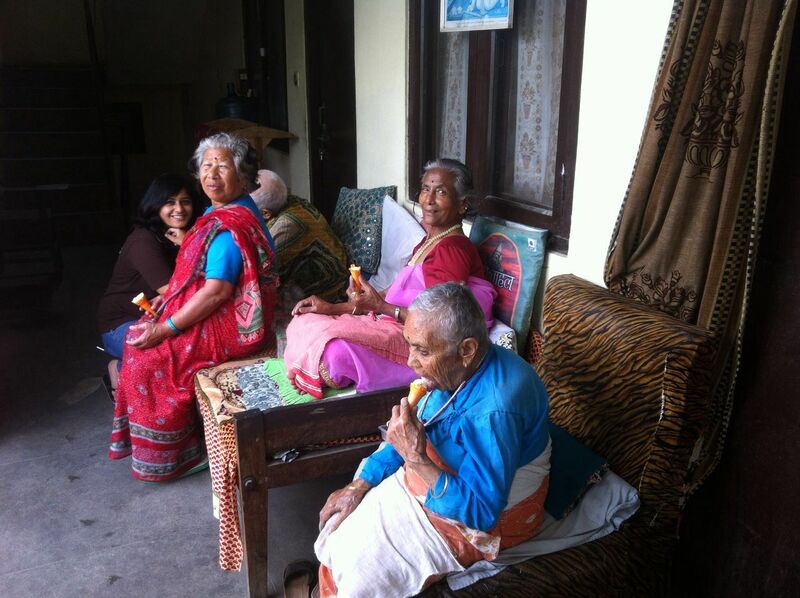 On this event too, we took Samosa’s, ice cream, juice and biscuits for Aama’s and Bua’s. Since it was a Saturday, they were basking in the sun and making the most of the lazy summer day. Many of them had their relatives who were visiting them. As I saw them happily talking to their daughter and sons, it hit me again to see the unconditional love that parents have for their children. 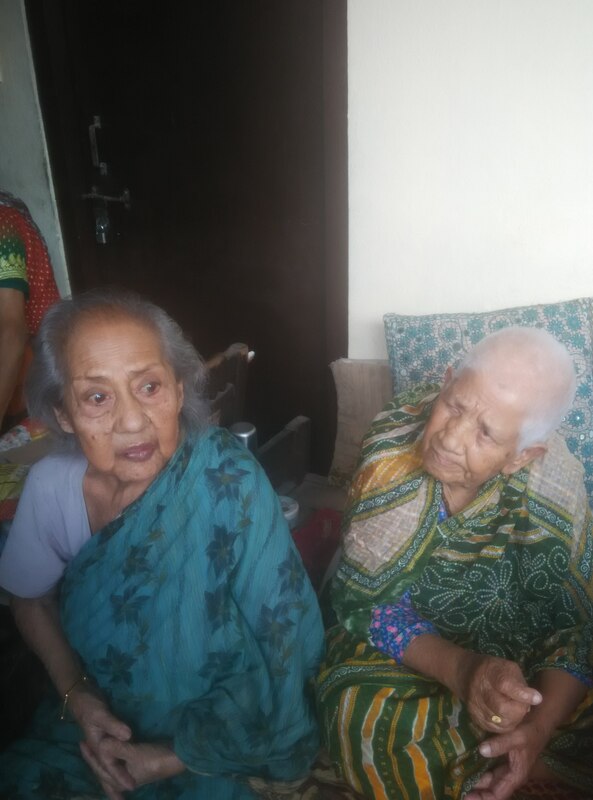 It is heart-wrenching to hear their stories and how children admit their parents to old age home. The bond between parents and children is so strong and strange that however ugly the situation is, parents spend time with their kids without any questions asked. This was exactly what was happening at the old age home. 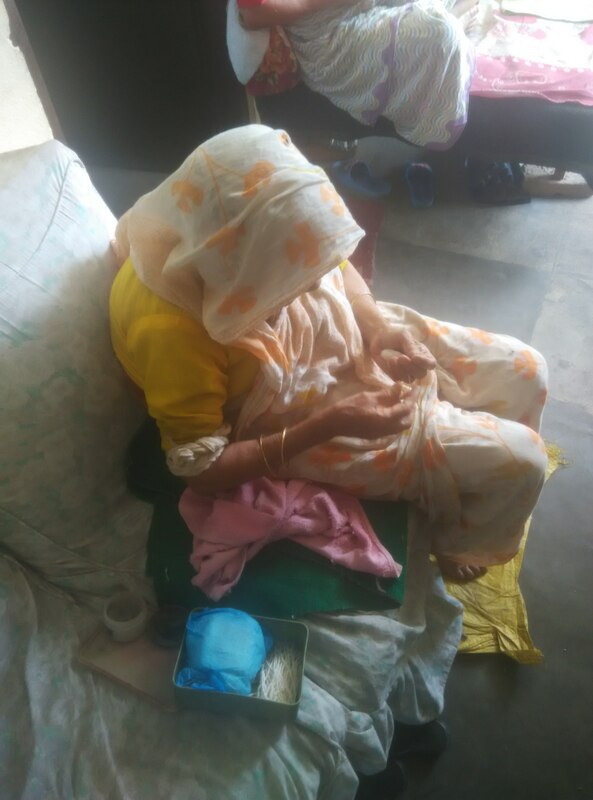 Ni sahaya seva sadan has around 55 aamas and buwas living in a three storey building. Each one of them have a different persona, some of them are chatty while some of them are quiet. They are usually busy making battis which reached to an average of 1000 per day. All of them are really sweet and they look out for one another. One of the Aama’s speaks fluent English and loves conversing and telling us stories and the other duo who are my favorite keep teasing each other like kids. It is so much fun spending time with them. They are adorable and all of them stay together as a family away from their families. Each one of them gave their blessings to us as we promised them to come back soon. I could not believe that it was the 75th event of ours and we have been conducting these drives since four years. It feels like yesterday that we came up with the idea of giving out free tree saplings and we are really proud of where we are at this stage. 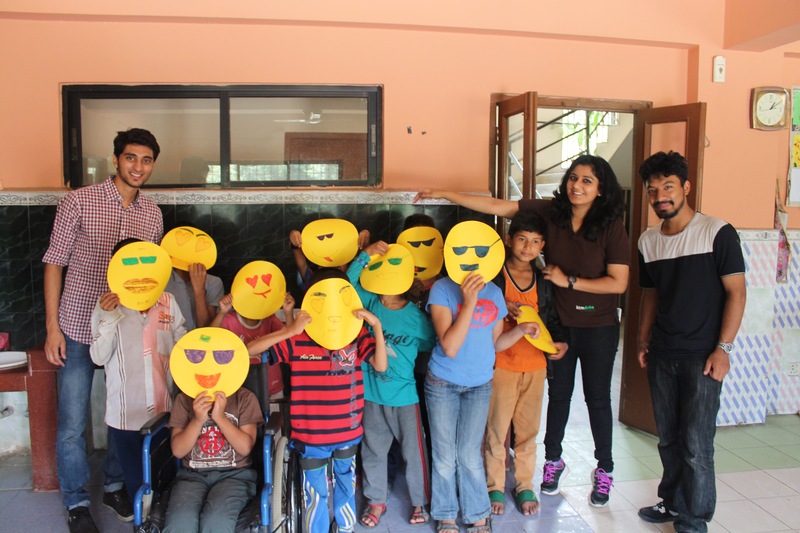 We are at a point wherein we are sponsoring kids for their education, have worked with many organizations and spent time with the naughtiest lot with their innocent smiles. 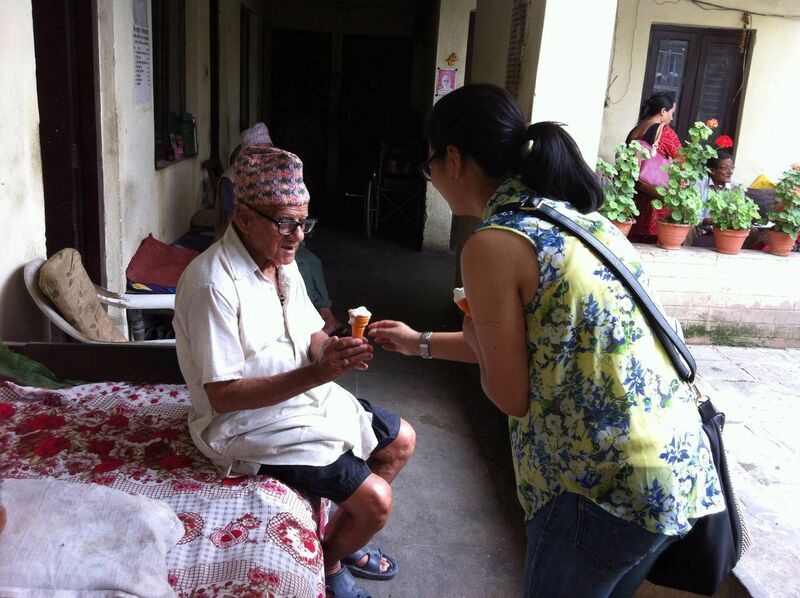 We believe it’s about giving the society, and the best way to do it is by giving our time.